Monash BDI research fellow Dr Patricia Illing. Monash researcher, Dr Patricia Illing, has been awarded a 2018 Michelson Prize for Human Immunology and Vaccine Research for her “innovative and disruptive” investigations into how the immune system responds to the influenza virus. 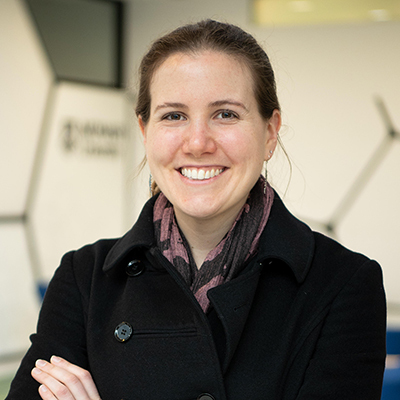 Working from Monash’s Biomedicine Discovery Institute, Dr Illing is exploring how a novel group of antigens contribute to the body’s immune response. Current influenza vaccines predominantly work by stimulating the body’s immune system to make antibodies that recognise the surface of the flu virus. However, this viral surface is constantly mutating, meaning the flu vaccine needs updating every year to ensure the immune system is equipped to recognise and attack the virus. Dr Illing’s exploration of a new subset of peptides known as “spliced peptides”, which can be formed when antigens are degraded, will inform future strategies to harness anti-viral T-cell responses in vaccines. “We have potentially been missing a large part of the picture of how our cells show they are infected with virus, and the cues our immune system responds to in fighting that virus,” Dr Illing said. Dr Illing’s research supervisor, Professor Tony Purcell, said he was “delighted” by Dr Illing’s international accolade. “I firmly believe that her work on influenza will lead to new insights into how to vaccinate against this often underestimated, but deadly, virus,” Professor Purcell said. “Patricia is one of the hardest working scientists I have worked with and has always challenged herself to undertake the most innovative and exciting research,” he said. The Michelson Prize for Human Immunology and Vaccine Research recognises early-career scientists whose innovation and ground-breaking research have potential to impact human health on a global scale. “It is inspiring to see the creative thinking and innovative approaches these young researchers are taking to tackle today’s scientific challenges,” said Wayne C. Koff, PhD, president and CEO of the Human Vaccines Project.